Distributed energy refers to small-scale, independent grids for generating, storing and supplying energy, as opposed to large-scale, centralised generation that relies on national networks to supply the energy. Harnessing renewable energy sources, such as wind or solar, and connecting them to new storage technologies, with appropriate energy management on this scale, has the potential to reduce environmental impacts and facilitate more flexible supply close to the energy user. This introduces the possibility of more autonomous homes, businesses, and communities. Distributed energy systems can also be interconnected with a ‘smart’ grid that facilitates a two-way exchange of energy between systems, thereby transforming consumers into prosumers. A holistic approach to sustainable energy systems across the spectrum of generating, storing, and managing energy consumption, has the potential to catalyse the systemic change required to transition from fossil fuels to clean and renewable energy sources. This has high relevance in New Zealand where there is a need to address the challenges of current and future energy performance in the built environment. Many options are available internationally for improvements. However, they are not necessarily optimized for New Zealand’s economic and environmental conditions. Finding sustainable energy solutions is a complex issue that requires a transdisciplinary approach. At VUW we see an opportunity to call on our new sustainable energy initiatives, and combine them with a range of disciplines across the University in alignment, with organisations like the National Energy Research Institute (NERI), to support the development of a comprehensive research and development portfolio designed to address the key, longer-term, significant risks and opportunities for the energy sector in this country. First Light House is a shining example of student-driven innovation and creative thinking. The house, designed for the US Department of Energy’s 2011 Solar Decathlon, is powered solely by the sun. It generates all its own clean energy via photovoltaic roof panels and solar hot water heaters. While grid-tied during the competition, the project was developed to be fully off-grid, once battery technology is sufficiently advanced. Intense rationalisation of energy loads was undertaken, enabling the house to secure First Place in Energy Management, as well as First Place in Engineering, using innovations such as a hydronic clothes dryer for extremely low-energy clothes drying. The First Light House has an innovative energy management system, allowing the inhabitants to instantly see how much energy is being generated and where it is being utilised, turning consumers into savvy energy prosumers. Renewable energy is only as capable and powerful as the batteries that contain, store and distribute that energy. Current technology poses cost and recycling problems. The latest research at VUW’s School of Chemical and Physical Science is a well-timed response: Redox Flow batteries by the NANN research group. The group has designed a new electrolyte system that outperforms the current systems, is also safe (non- or low-hazardous), inexpensive, and requires low maintenance. The simplicity of the technology makes it attractive for low-cost, large-scale energy storage. Energy is stored by oxidising and reducing molecules and then storing them separately in the form of liquid electrolytes. These electrolytes are then pumped past two electrodes, where the oxidation/reduction processes are reversed, thus releasing the stored energy. Despite the simplicity of the basic technology, smart and advanced electrochemistry can increase efficiency. The new electrolyte technology is currently being patented and commercialized by VUW’s commercialisation company VicLink. For a land blessed with abundant wind (some places more than others), generating power from it seems like an appealing, environmentally-friendly option. However, for all of the green credentials of wind power while it is generating power, the prospect of what happens to it after its expected 25-year lifespan is less appealing. The high efficiency design of traditional horizontal axis turbines places huge forces on the propellers which means they need to be made of strong, but impossible to recycle, composites, typically fibreglass and resin. Vertical axis turbines based on the S shaped Savonius rotor work with less stress on the components. These can be produced with single materials that can be easily recycled and modified to explore diverse environments both visually and functionally. 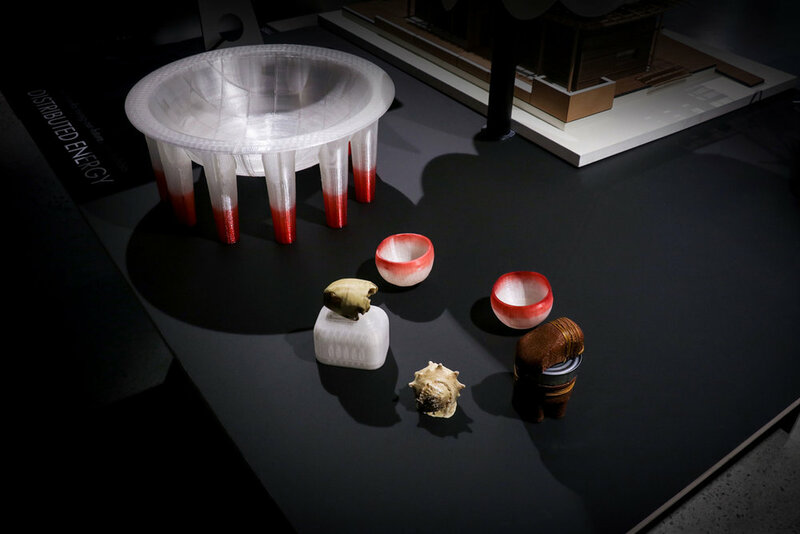 The creation of larger scale 3D printing offers control over complex forms and the option to use generative computer programs to fine-tune each design to its site. Pacific Island nations in particular depend on fossil fuels. Installing distributed renewable energy systems would dramatically improve energy security, quality of life, and economic outcomes in remote communities. Clean energy, combined with ‘clean’ applications of energy, opens up new perspectives in the Pacific region. Lionel Taito-Matamua seized the opportunity with his Master of Design Innovation research project, which focussed on the serious problem of plastic waste in the Pacific. Expanding on the notion of distributed energy, Lionel hypothesised that distributed recycling combined with 3D printing offers an opportunity to repurpose and add new value to this difficult waste stream. He then set about exploring the proposition with a low cost laboratory to regrind and up-cycle plastic waste by turning it into useable 3D printing filament. 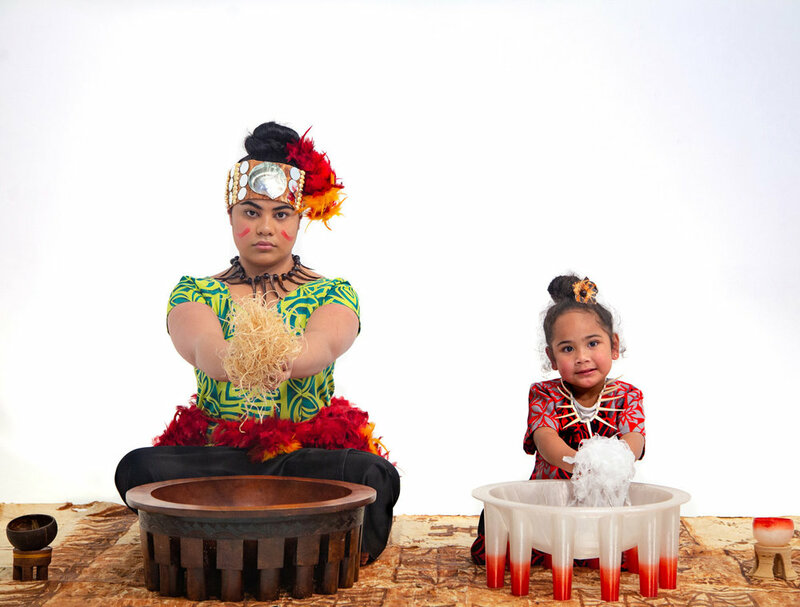 This presents opportunities to expand Samoa’s rich and lively culture in artisan crafts into new self-sustaining communities, makerspaces and small-scale local industries producing useful and culturally meaningful 3D printed objects, artefacts and products ‘on demand’.